We’re delighted you’re heading to Fir Park to take in a match. As a club, we have been a Lanarkshire institution for over 130 years. We continually work hard to be at the hub of the local community and a club where the fans and local people truly feel a sense of belonging. We are extremely proud of our roots and even prouder of our loyal, faithful fans who give us their unrivalled support and backing. 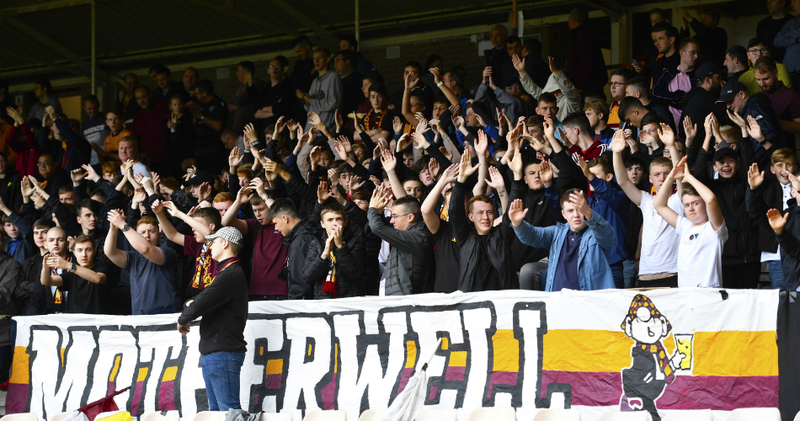 We want you to be a part of that and experience the Fir Park atmosphere. Getting to Fir Park is simple. You can get here by car, or Scotland’s comprehensive public transport network cantake you within a few minutes' walk of the ground. Clearly located signs will help pedestrians find their way from stations or bus stops. 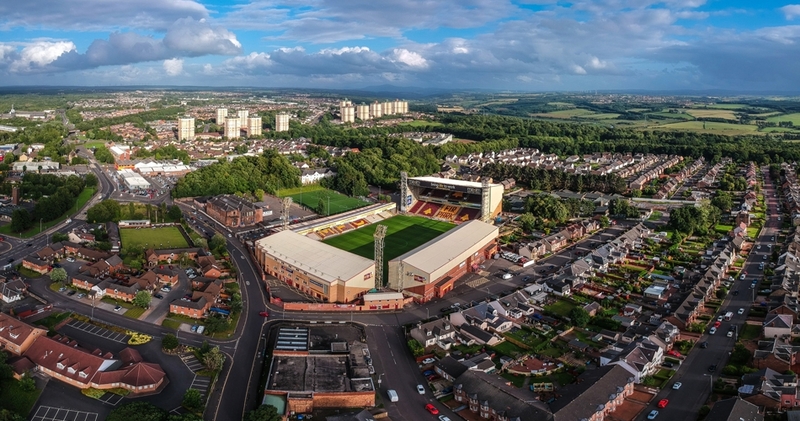 Airbles train station is the nearest train station to Fir Park and is located one mile from the stadium. Motherwell train station is only slightly further away and is a 20 minute walk. Buying online is the quickest and easiest way to get your ticket. Buying in advance also guarantees you'll get in, as some high-profile games can sell out and cash gates won't be available. To buy online, visit our ticketing website. At most games, you can also pay at the gate. Ticket information is published for every game on this website and on social media channels. You can view our entry prices here. Before I book my ticket, what stand should I sit in? There are three options if you are supporting Motherwell. The John Hunter stand is the smallest stand in the ground. However, it’s always packed week-in, week-out because it’s got the most vociferous atmosphere. The front row is only three feet away from the pitch, so you are within touching distance of the players. The Davie Cooper stand at the north end behind the goal is suitable for families and young children. As well as an embargo on bad language, there’s plenty for the young ones to do in addition to the match. Alternatively, the best view of the pitch can be found in our Phil O’Donnell main stand. Located on the west side of the ground, you can get yourself within feet of the home and away dugouts to really get a flavour of what the managers are doing. Check out the Stadium Information page for a better idea of where you can sit depending on your preference as well as some history on the ground. On-street parking is available on numerous streets in the vicinity the stadium. Fans can also make use of nearby car parks within the Civic Centre/Motherwell Concert Hall and in its locality, Parkhead Street and the smaller MacDonald Street car park. If you’re planning on regularly visiting Fir Park, we have a designated, stewarded, car park in Knowetop Primary School. You can purchase season passes by contacting our commercial team on 01698 338008 or email commercial@motherwellfc.co.uk. Is there somewhere to eat or have a drink? Our family-friendly Davie Cooper Suite is open to all fans before matches from 11am. In there you will find food and drinks available, as well as big screens showing live football from around the world. Food is also available in the stands before and during the match from our kiosks, serving a variety of hot food and drinks. The 'Well Shop is situated within the Davie Cooper Stand and has a large selection of Motherwell FC related merchandise. You can browse what is available in our online store - motherwelldirect.co.uk. Is there access for disabled supporters? Absolutely. We have covered places for wheelchair users and carers in both our Phil O'Donnell main stand and our south stand. The best way to ensure access for all Motherwell matches is to contact MFCDSA direct. Brian Davidson or Andy Sim are your points of contact. You can reach them on 07428 225254 or via tickets@mfcdsa.com. I've got more questions, what should I do? If you still have questions not covered on this page, please send us an email, give us a call or pop into Fir Park and we'll only be too happy to help. You can find all the relevant contact information, including a departmental breakdown, by clicking here.